Eritrea is a country in the east of Africa bordering Ethiopia (South), Djibouti (Southeast) and Sudan (West), with an extensive eastern coastline along the Red Sea and a total land areaof 124 320 km2. Its population is estimated to be 4,038,000 with a growth rate of 2.9% per year (MoA,2002). The country has a varied terrain and climate that includes savannah, temperate highlands and a desert coastal plain (Pool, 1982). Agriculture contributes 80% of the country’s economy, while the balance is shared by industry and service. Land degradation and loss of productivity are mentioned to be among the major environmental problems (MoA, 2002). We discuss energy efficiency and renewable energy investments in Eritrea from the strategiclong-term economic perspective of meeting Eritrea's sustainable development goals and reducinggreenhouse gas emissions. Energy efficiency and renewable energy are potentially importantcontributors to national productive capital accumulation, enhancement of the environment,expansion of energy services, increases in household standard of living, and improvements inhealth. In this study we develop a spreadsheet model for calculating some of the national benefitsand costs of different levels of investment in energy efficiency and renewable energy. We thenpresent the results of the model in terms of investment demand and investment scenario curves.These curves express the contribution that efficiency and renewable energy projects can make interms of reduced energy sector operating expenses, and reduced carbon emissions. We providedemand and supply curves that show the rate of return, the cost of carbon emissions reductionsvs. supply, and the evolution of the marginal carbon emissions per dollar of GDP for differentinvestment levels and different fuel-type subsectors. Low agricultural productivity and land degradation have become major features of the Anseba region. Over the last three decades, the region has experienced several droughts as well as erratically distributed rains. Other problems include cultivation of marginal land without fallowing, over-grazing, and inappropriate land management, lack of investment in land improvement, inadequate animal feed, depletion of underground water and the natural limitations of the rugged topography. Furthermore, inadequacy of agricultural extension services has contributed to the low level of development of agriculture in this region. 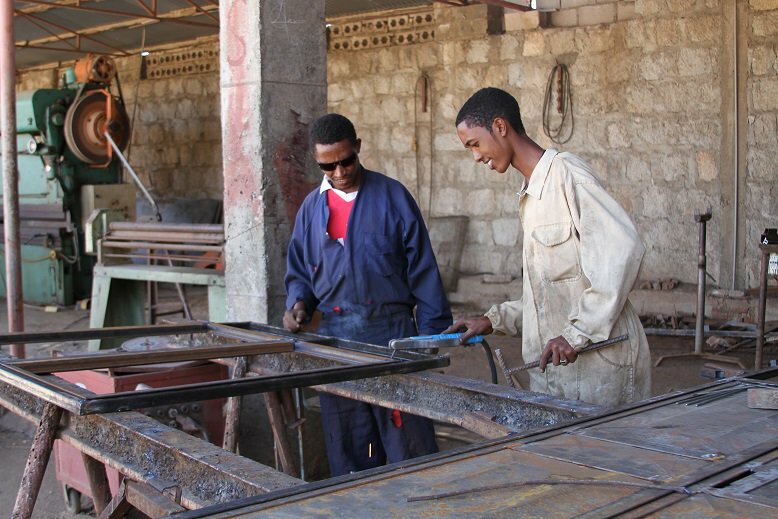 As a prelude to the empirical study of the manufacturing enterprises selected, we willdescribe the macro-economic policies of the government of Eritrea; in particular itsprivatisation policy and we will study the historical background of the manufacturingindustries. This will help us to assess the environment in which the enterprises arefunctioning and to identify the progress and constraints encountered in privatisingenterprises in Eritrea. This Country Information Report has been prepared by the Department of Foreign Affairs and Trade (DFAT) for protection status determination purposes only. It provides DFAT's best judgment and assessment at the time of writing, and is distinct from Australian Government policy with respect to Eritrea. The report provides a general, rather than an exhaustive country overview. It has been prepared with regard to the current caseload for decision makers in Australia without reference to individual applications for protection visas. The report does not contain policy guidance for decision makers. This Dutch COI report describes the current situation in Eritrea insofar as it is relevant to the assessment of asylum applications from persons originating from Eritrea and to decisions on the repatriation of rejected Eritrean asylum-seekers. It isan update of previous COI reports on the situation in Eritrea (most recently from July 2015), and covers the period from August 2015 to November 2016. The report is based on information from public and confidential sources. Use has been made of information from various UN agencies, non-governmental organisations (NGOs), the Eritrean government, specialist literature and media reporting, among other sources. Until the late nineteenth century, the high plateau of present-day Eritrea was apart of the Ethiopian province of Tigray. Its inhabitants, racially, culturally, and linguisticallyTigrayan, were subjects of the Ethiopian crown, whereas the surrounding lowlanders were forthe most part independent. The boundaries of modern Eritrea were established during the periodof Italian colonization that began in the late 1800s. An Italian shipping company, RubatinnoShipping, purchased the port of Assab from a local ruler. In turn, the Italian government tookover the port in 1882, hoping to use Eritrea as a launching point for the colonization of Ethiopia.The Italian presence in the Horn of Africa was formalized in 1889 with the signing of the Treatyof Wuchale with Emperor Menelik II of Ethiopia (r. 1889–1913), although Menelik would laterrenounce the agreement. For the next half-century, relations between Ethiopia and Italy, despiteintermittent diplomatic agreements, were strained by repeated Italian efforts to expand theircolonial base into Somali territory and Ethiopia, most notably in 1896, when Ethiopia defeatedthe Italian army in Tigray. 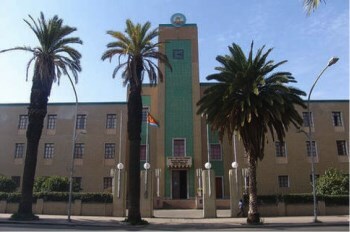 Italian administration of Eritrea brought improvements in the medicaland agricultural sectors of Eritrean society. During the post-colonial era, many countries, especially in Sub-Saharan Africa (SSA), had to face war and conflict, genocide, political instability and economic disasters. The consequences are reflected by an important and increasing amount of migration not only to neighbouring countries but also from the so-called ‘Global South’ to the ‘Global North’. There are many controversies on the impact of migration on destination and source countries in the era of globalisation, while some focus on negative aspects, there are others who have assessed the benefits to the host and especially home country. This, however, has not received much attention among social scientists. Indeed, most studies around migration focus on the impact on destination countries rather than the home country. The homeland is often forgotten on how immigration has certain effects which could be positive and also negative. The role of migrant communities is increasingly connected and thanks to the ease of communication and travel, transnational networks are facilitated. Their contribution to the developmental process has to be taken into consideration especially in respect to nation-building and reconstruction. 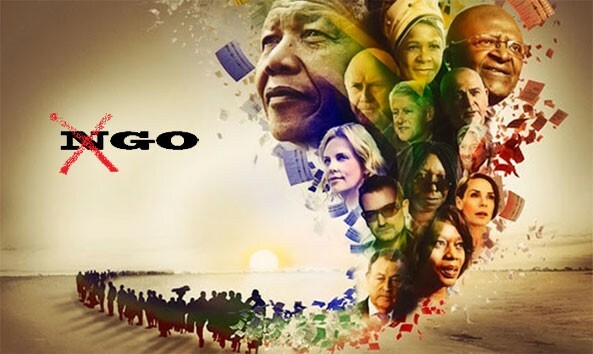 The role of the Diaspora is often minimized due to the mainstream and popularity of international institutions or non-governmental organizations (NGOs). There are very few researches on diaspora specifically the Eritrean community in Switzerland; this paper is an attempt to contribute to the body of knowledge which already exists on the migrant community. Situated at the Horn of Africa, Eritrea and its people belong to the newest African country. 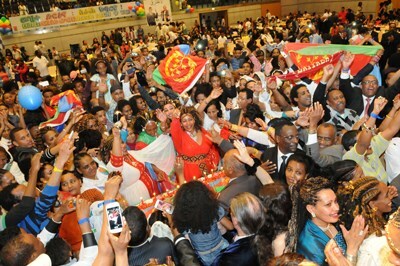 Its long history of invasions and colonisation, wars and finally independence are essential in understanding the current role the Eritrean Diaspora, which, as a transnational actor, participates in the political and social life and contributes to the economy of their home country. Often dubbed ‘the North Korea of Africa', Eritrea has had a tumultuous history that has included exploitation by various competing powers and an international community that has often turned its back on the country’s trials and tribulations. Since independence, Eritrea has been ruled by one man, Isaias Afwerki, and a shifting cadre of freedom fighters who have managed to ride the waves of his erratic tenure. A disastrous border war with Ethiopia, conflicts with Sudan and Djibouti, and Eritrea’s support to rebel groups including al Shabaab isolated the country both regionally and globally. In 2009 and 2011, the UN Security Council imposed sanctions, effectively making Eritrea a pariah state. Eritrea gained its independence in May 1993, following a vote by an overwhelming majority in a referendum held a month earlier. Eritrea's independence was preceded by an armed struggle that lasted for over three decades and two years of de facto independence following liberation in May 1991. 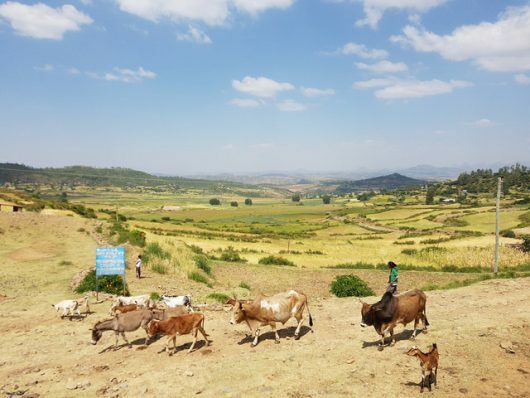 Damaged by war and recurrent droughts that degraded the environment, Eritrea is presently among the poorest countries in the world and is confronted with a massive need for rehabilitation and restructuring. In the short term, this challenge is further magnified by specific problems related to the integration of Eritrean refugees from neighboring countries as well as ex-combatants into the civilian economy. In sharp contrast, during the early 1940s, Eritrea was considered to be one of the more developed countries in the Eastern Africa region. A government committed to Eritrea's economic development, within the broader context of cooperation and stability in the region, and a diaspora community of successful entrepreneurs and skilled workers represent great assets for the future. The modern phenomenon of Export Processing Zone (EPZ) was born in 1958 in Ireland,around Shannon airport. Located in the South eastern part of Ireland, close to the coast,this airport was a major refuelling stop for translatlantic airlines. However, with the adventof long range jet airliners which no longer needed to refuel on the translatlantic flights, theairport faced a dramatic decline. Thus, the Irish government decided to establish anindustrial estate in the vicinity of the airport to encourage foreign manufacturers to set upplants which would use the airport freight facilities for the import of components and theexport of finished goods. The reasoning behind the establishment of the Shannon FreeZone was that the firms would help to replace the jobs of 1,500 people lost as a result ofthe airport decline. During the period under review, the Eritrean government made no significant change in its political and economic agenda, remaining a surveillance state committed to a command economy and an autocratic political system. The economy was under the control of the ruling People’s Front for Democracy and Justice (PFDJ) party and the military. 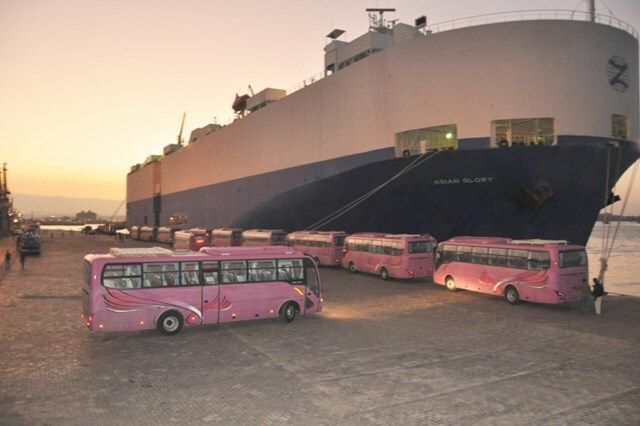 High-ranking military officers, most prominently General Tekle Kifle “Manjus,” were involved in illegal activities, including goods smuggling and human trafficking of Eritreans seeking to leave the country. However, it seems that Manjus lost power during 2014 and had several of his personal staff arrested. Hundreds of Eritrean refugees were kidnapped from Sudanese refugee camps and sold to human traffickers by members of the Rashaida Tribe, who cooperated with corrupt Eritrean and Sudanese officials. The mutiny of January 2013 was identified as a “Muslim fundamentalist” attempt to overthrow the government by the ruling clique, most vocally by Presidential Adviser Yemane Gebreab. Accordingly, numerous Muslims, PFDJ top leaders, governors, military officers and ministers were arrested or “frozen,” among them the PFDJ’s head of organizational affairs, the governor of the Southern Region and the Minister of Energy and Mines. Other prominent Muslims, among them Minister of Information Ali Abdu, defected due to fear of persecution, which further cemented Tigrinya dominance within the political elite. This created a rift between the Muslim and Christian PFDJ cadres, which found its reflection in the population at large. These developments even had an influence on the opposition organizations in the diaspora. In 2014, a new forum was founded by Eritrean lowland Muslims, namely the Lowlanders League, which exacerbated the existing rifts and mutual mistrust among the opposition in exile. Doing Business captures several important dimensions of the regulatory environment as it applies to local rms. It provides quantitative indicators on regulation for starting a business, dealing with construction permits, getting electricity, registering property, getting credit, protecting minority investors, paying taxes, trading across borders, enforcing contracts and resolving insolvency. Doing Business also measures features of labor market regulation. 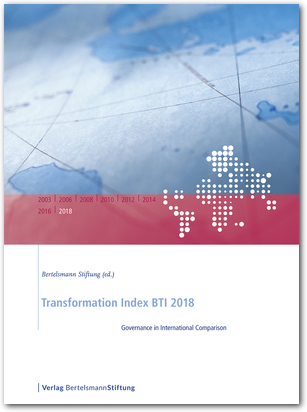 Although Doing Business does not present rankingsof economies on the labor market regulation indicators or include the topic in the aggregate distance to frontier score or ranking on the ease of doing business, it does present the data for these indicators. The investment climate in Eritrea is not conducive to U.S. investment. While there is opportunity, especially in the extractive industries sector, the Government of the State of Eritrea (GSE) maintains a command economy, with government activities predominating over private enterprise. Unreliable power, complicated and changing import regulations, difficult air and ground transportation links, insufficient port facilities, lack of fuel, unrealistic exchange rate, restrictions on repatriation of profits, the near impossibility of getting a construction permit unless the project is government-sanctioned, and in-country travel restrictions all work to undermine trade and investment. In addition, the potential U.S. investor must be aware of the international sanctions regime placed on Eritrea. There is no American Chamber of Commerce and few American companies are working in Eritrea. Economic growth in Eritrea was strong in 2011, estimated at 8.2% compared to 2.2% in 2010. Underpinning thisperformance was the coming on stream of mining projects with substantial foreign investment (notably theBisha gold mine) and high levels of production of silver, copper and zinc. Growth is projected to fall to 6.3% in2012 however, before halving in 2013 due to expected falls in world mineral prices. The authorities believe thatthe country has good medium to long-term prospects for offshore oil production, fishing and tourism. Artisanal gold mining has been practiced since thetimes of the Egyptian Pharaohs. Modern gold mining started duringtheItalian colonial rule -1891-1941 Withmore than 20 small gold mines prior to WW-II. Post WW-II Eritrean political and security conditions hindered the development of the mining sector. The Liberation of Eritrea in 1991, followed by the National Referendum that resulted in Independencein 1993, created a new opportunity for the proper assessment of the national mineral resources and the development of strategies for their extraction. The state of Eritrea was founded during the European colonial period. Prior to colonization, a number of kingdoms existed in the territory where present-day Eritrea is located. Eritrea’s strategic location on the west coast of the Red Sea and its natural resources were some of the main factors that attracted colonizers from Europe as well as from the African continent. Italy, in the nineteenth century, invaded the area and issued a decree in 1890 declaring the territory as its first colony in Africa and naming it Eritrea. During World War II, the British defeated the Italians in the Horn of Africa and established a protectorate over Eritrea. Following a United Nations recommendation in 1950, Eritrea federated with Ethiopia in 1952. In 1962 Ethiopia unilaterally abrogated the federal status and annexed Eritrea, turning it into one of its fourteen provinces. The armed struggle for Eritrea’s independence began in September 1961 and lasted for 30 years. 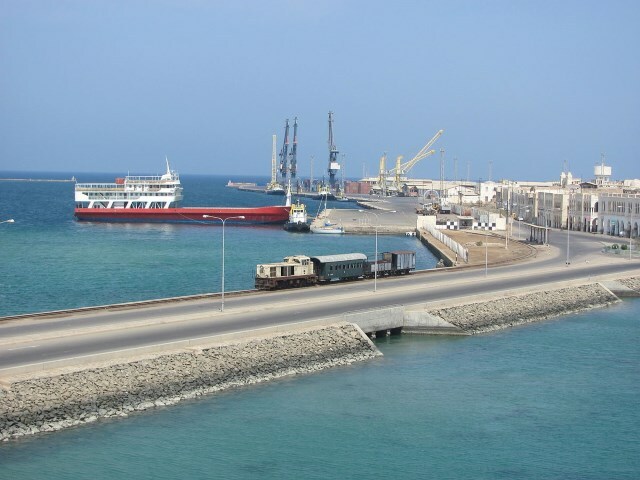 Realizing the cardinal role investment could play in Eritrea's development imperatives, the government of the State of Eritrea encourages investment, development and utilization of the country's natural resources, expanding exports, fostering transfer of technologies and SME development. The following briefs the policy on investment and available opportunities for investment in the State of Eritrea. Land grabbing, as the phrase suggests, requires one to grab, or in other words, “to seize, to grasp, to take a grip of or to get one’s hands on.” This action of taking suddenly and roughly is the reality of today’s Asian and, mostly African soil. In other words, Bwegise bra Mwesigire (2014) clearly explained the phenomenon in his article entitled Land Grabbing in Africa, the new Colonialism and he began by saying that land grabbing is “the silent recolonization of Africa happening on a mass scale. … Land is the source of life and death, but it might not always be with us.” His powerful statement cannot be denied in regards to the reality of today’s Africa. In fact, land has been put at the centerpiece of conflicts of interests, of wealth and poverty, of opportunists and marginalized communities, powerful against the powerless, profits versus social justice.